If you happen to travel to Mumbai for work or leisure, you have a plethora of options to choose from when it comes to hotels. From the famous Taj hotel to a lot of new ones. But if you need a property near the airport incase you had a connecting flight later, or happen to have work in the western suburbs itself then there are a few hotels absolutely recommended for various reasons. 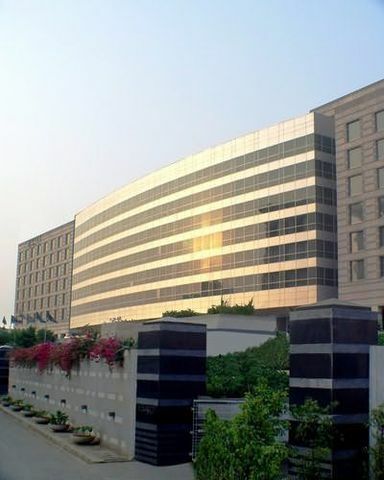 ITC has two hotels in Mumbai – ITC Maratha and ITC Grand Central. The former is situated at the Sahar elevated road, which is basically touching the CSIA Mumbai International airport. ITC hotels are very famous for their hospitality and welcoming environment. The staff is courteous, service amazing and food is quite famous too. It houses some famous restaurants like Peshawari and Dum Phukt as well as Dakshin Coastal. I personally happen to visit the other hotel they own, more due to it’s location. One cool fact about ITC hotels is that they have this feature called Twitter Concierge – you can request for services at the hotel via a tweet! Another hotel close to the airport and very popular for events, conventions and meets is Grand Hyatt. This one is not as near as ITC Maratha, it is located at BKC which is very convenient for travel too and closer to the domestic airport. Celini – their Italian restaurant is quite popular as well as the Chinese cuisine in-house restaurant called China House. These are both excellent options to host weddings too, especially if you have a lot of guests coming from outside the city, keeping in mind proximity to the airport. There are a few more recommended hotels near the airport – JW Marriot for instance is amazingly beautiful too. In-fact a good and popular concept these days is ‘staycations’ with hotels having weekend stay plans for you to rejuvenate, chill and relax without having to travel to another city. So if you’re from Mumbai itself but need a break from the mundane routine and work, then check yourself in and indulge in some spa-time and gastronomical experiences! So if you’ve been to any of these properties, do share your experience via comments! And if you are looking at a staycation, start planning one now…sometimes, the best vacation is a staycation. This article will tell you how much it costs to travel the world for six months and how you can do the same. I visited five Travel Deals in Dubai 23 countries and over a hundred cities learning new things and experiencing different cultures. Thanks for sharing these all best hotels information with us, if you want to visit Taj mahal and looking for a luxury hotels in agra then you can book hotel Bhawna Palace.